When temperatures drop, it’s time to think about getting your house ready for winter. A good place to start is by reviewing your chimney for any repair or chimney cleaning it may need. Often neglected, chimneys are a vital part of a home’s structure and mechanical functioning. If a chimney is not regularly cleaned, or repairs attended to, chimney problems can result, including fires, collapses and even carbon monoxide poisoning. So, before firing up your furnace or building your first fireplace blaze, it makes sense to make sure your chimney is up for the challenge. The chimney is essentially a vent pipe that allows hot exhaust gasses from a wood burning fire or from your home’s heating system, to pass safely through combustible parts of your home and be exhausted outside. While most chimneys are brick, chimneys for newer homes may be made of out of metal. Regardless, both can present problems if not properly maintained. When wood burns, it never completely combusts. What’s left forms a vaporized residue that when carried up the chimney, mixes with condensation as it cools and sticks to the inside of the chimney. This material, commonly referred to as creosote, can be very difficult to clean. But if it’s allowed to build up, a chimney fire could happen. Chimney fires are one of the most dangerous and devastating types of household fires. Fully engaged, they can roar like a jet engine shooting fire into the sky like an oversized roman candle on the 4th of July. 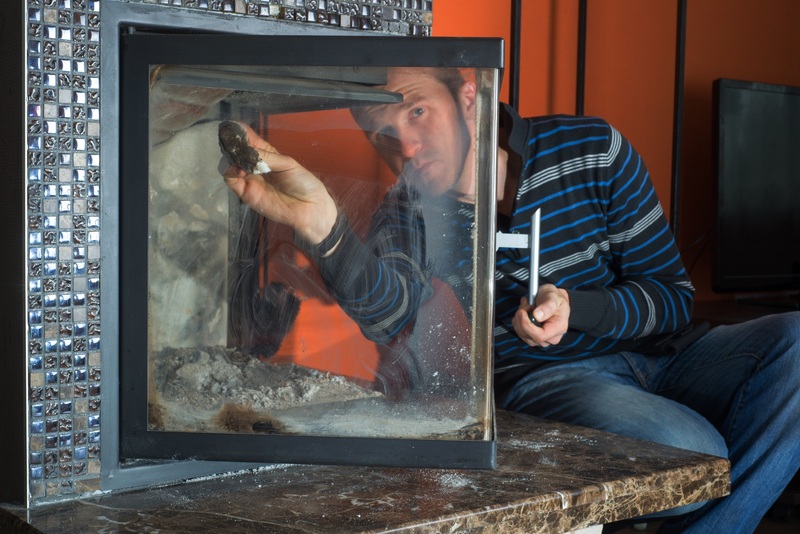 Fueled by a dirty chimney, temperatures inside can reach 2000 degrees and destroy an entire home. According to the Consumer Product Safety Commission and the National Fire Protection Association, having your chimney inspected on a yearly basis and having your chimney cleaned as needed is the best defense against a fire. But while cleaning and inspecting are not do it yourself projects, there are a few things you can do to keep an eye on safety between those annual evaluations. First, inspect your chimney from the outside of the home to see if it leans or appears to be separating from the building. Chimneys that are separating from the house can be especially dangerous. Sometimes, the steel plates that are used to hold the chimney to the house will rust away and leave the chimney vulnerable to a collapse. If a chimney leans or worse, appears to be pulling away from the building, it should be immediately checked by a professional. Next, use binoculars to look for loose bricks or cracks, especially near the top. Freezing weather can cause bricks to deteriorate or loosen up. Any deteriorated sections should be replaced. Check that the metal flashing between the roof and chimney is tight. Loose chimney flashing can cause leaks that will show up inside the house, but is not that difficult to repair. If the roof isn’t too difficult to access, take a look at the chimney’s crown as well. The crown is the area between the outside edge of a masonry chimney and the liner. Chimney crowns often develop cracks that can lead to leaks and need to be repaired with caulk. Finally, look for vegetation at the top of the chimney. Ivy, for example, can grow across the top of the chimney and obstruct the flow of exhaust gases out the chimney. If your fireplace or furnace is exhausting through a metal vent pipe, it doesn’t mean you are off the hook when it comes to structural problems. Metal pipes can rust or become dislodged from high winds. While inspecting the roof, look for vents that may have separated at the seams. These may need to be rejoined, and then reinforced so it doesn’t happen again. Dirty flues, the metal or clay liner inside a chimney, are the leading cause of chimney fires. The surest way to check this is from the top of the chimney. That job, however, is best left to a professional. As an alternative, homeowners can check for clean fireplace flues by opening the damper above the fireplace and looking up inside the flue with a strong flashlight. If you can’t see the sides of the clay or metal liner clearly, a thorough chimney cleaning may be needed. For chimneys that serve the home’s heating system, inspection is equally important. These chimneys can become blocked by nests or other obstructions and cause combustion gas to back up into the home leading to carbon monoxide poisoning. Before turning on your furnace or boiler for the season, be sure to have the equipment serviced and the chimney or vent pipe checked for obstructions. Several years ago while inspecting a home for a potential home buyer, I discovered a nest inside that chimney that was causing the combustion gas from the furnace to fill the home with carbon monoxide. The kicker was that the couple that owned the home was expecting a child. Mom-to-be was spending lots of time in the house and experiencing what she thought was morning sickness. Blood tests subsequently proved it was carbon monoxide that was causing the problem and the discovery of the nest happened in just the nick of time. In general, all chimneys should be professionally inspected at least once a year and cleaned as determined by that inspection. As a rule of thumb though, a chimney should be swept by a professional chimney cleaner once for every cord of wood burned. A cord is a unit of measurement for a pile of firewood that measures 4 feet high, 4 feet wide and 8 feet long. When hiring a professional chimney cleaning sweep however, be very cautious if the contractor recommends an expensive repair. During our radio show, we frequently hear of less-than-honest chimney cleaning contractors that offer low-priced inspections that always find expensive problems, which of course, they’d be happy to repair for an additional fee. As with any home repair or maintenance contractor, homeowners are wise to get a second opinion from an unbiased expert, like a professional home inspector, before any repairs have been started. The Chimney Safety Institute of America (CSIA), a nonprofit, educational institution focused on the prevention of chimney and venting hazards, recommends that consumers use caution when considering what chimney sweep to hire for an annual inspection or related service on their chimney or vent. How long has the chimney cleaning company been in business? 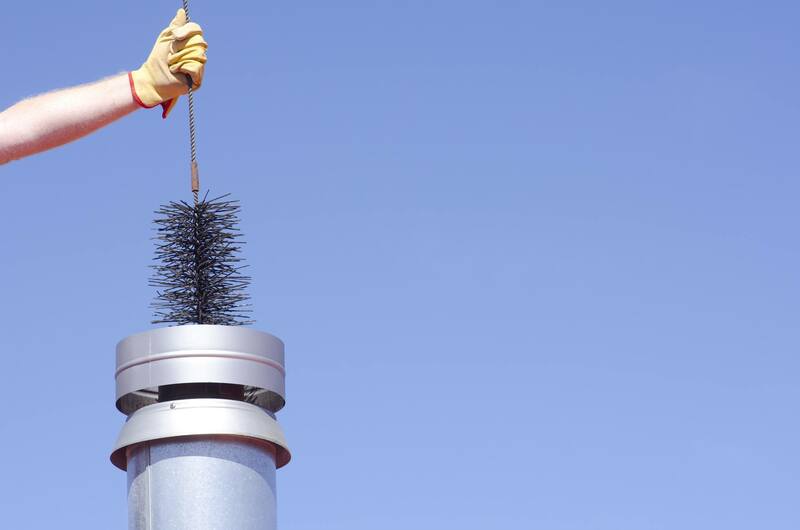 Chimney sweeps that are certified by CSIA are required to prove competency by passing an examination on fire prevention codes and standard chimney service practices. 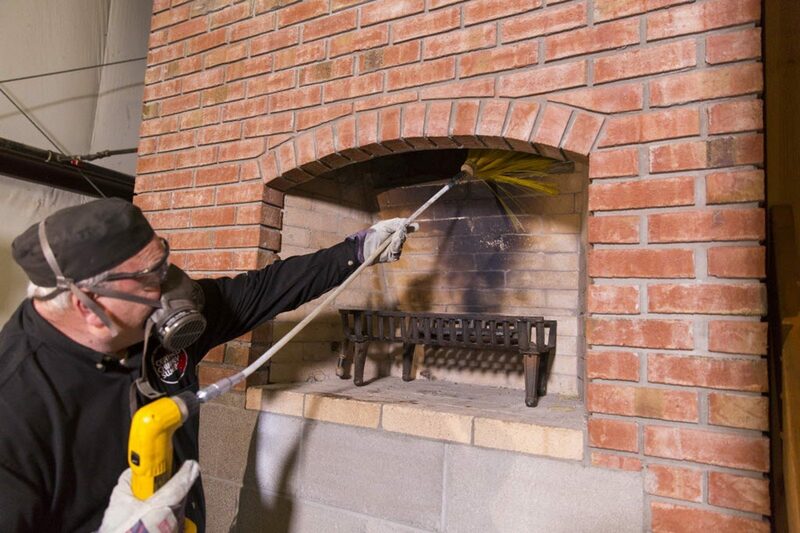 To locate a CSIA Certified Chimney Sweep in your area go to www.csia.org or call 1-800-536-0118. Regular chimney cleaning and repair is an important way to prevent a chimney fire or carbon monoxide poisoning. The post Chimney Cleaning and Repair | How to Hire a Chimney Sweep appeared first on The Money Pit.